Demands for change at the main mental health facility in New Brunswick are growing more urgent following a death there on the weekend. The patient died just days after disturbing criticism of the Restigouche Hospital Centre by the province's ombudsman. “This absolutely raises our alarm levels to a very extreme point where the worry and anxieties are through the roof,” said Reid Smith, one of two fathers whose sons are patients at the facility and are speaking out to voice their concerns. They have a lot in common, but it's a heightened concern for their sons’ well-being that's brought them together. The death hits too close to home - as both have sons who have been patients there for years. 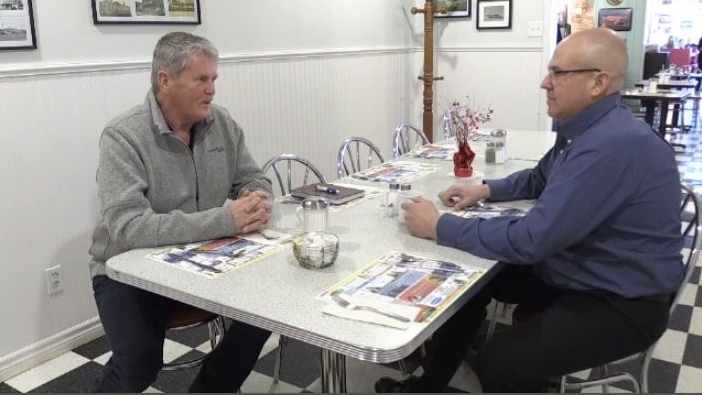 “I think the province needs to kick in, needs to act immediately to assist in ramping up the resources available to Restigouche, to be able to hire more staff,” Smith said. In a statement released yesterday, Health Minister Ted Flemming said there is increased focus on the hospital given the issues found by the ombud. For now, both fathers say they want the families of other patients at Restigouche to take an active role in their treatment plan. The province has promised a response within 90 days of receiving the ombud's report which they saw for the first time last Thursday. Vitalite Health Network says an investigation is underway to determine the exact cause and circumstances surrounding the death of this patient over the weekend. The province says the RCMP are looking into this, as is the coroner. Reid Smith and Darrell Tidd both have sons at Restigouche Hospital Centre and say their concern grew over the weekend when a patient died.